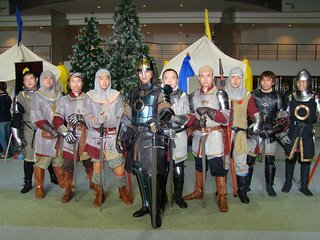 Pan-Historical European Martial Arts Society (Singapore) is a group of dedicated exponents of Historical European Martial Arts (HEMA). 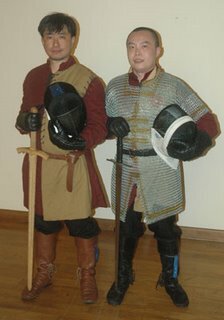 They are mostly concentrating on the Late Medieval Longsword techniques of Fiore di Liberi, but they will eventually branch out to cover Medieval Sword and Shield (MSS I.33) and Capo Ferro Rapier (1610AD). PHEMAS was registered as a society in July of 2005. 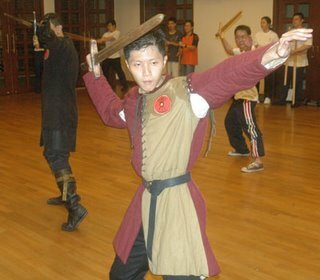 It's the first group in Singapore, which embarks on the journey of rediscovering and reconstructing Historical European Martial Arts systems. Fiore created a complete system. 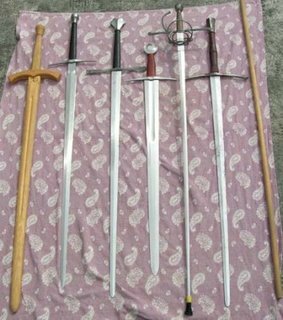 That is, a martial arts system that is built around a set of simple and effective guiding principles and applied to the large range of weapons that a gentleman in the 15th century would have to master. The core of the system is learnt in the Abrazare (unarmed) section if the manuscript. 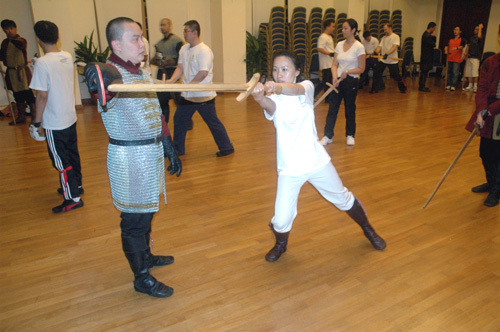 In this section, a novice would learn the principles of body mechanics to defend themselves against unarmed opponents as well as attacks with the dagger. There is a large focus on footwork throughout the training as there is with all sword arts and the Abrazare is also a great way for the novice to master his/her feet and balance. Training in Fiore at PHEMAS requires a Longsword. Beginner levels will be required to purchase a wooden waster in the beginning due its reduced cost and speed of delivery. The basic Mk1 wooden stick may be used until their waster arrives but as it’s not actually a sword, it is not encouraged for anyone to use this longer than absolutely necessary. 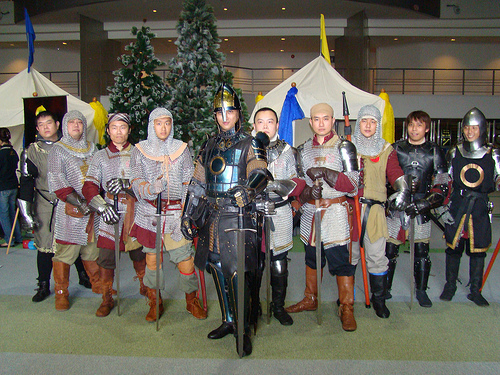 Eventually, a steel sword will be required and all members are asked to check the suitability of their purchase for training before they buy. Unsafe, sharp or decorative swords will not be approved for use in normal PHEMAS training. There are two kits of dress which can be used in training. As the name implies, Historical Kit is the gear that a Medieval knight or man-at-arms would have worn into combat. Such kit is encouraged as we are a Historical society. HK is expensive and most times, heavier than modern alternate safety gear. 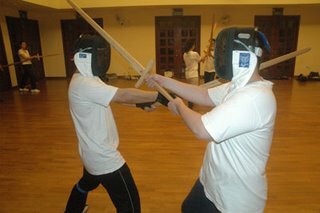 Alternate Kit consits of a 1600N fencing mask, a pair of padded gloves, comfortable shoes and an approved sword (wood or steel). It used with the standard uniform of plain, black pants and white t-shirt. PHEMAS don't follow the sword techniques shown in movies. Theatrical swordplay is an art to itself and has it's own goals, namely in being visually pleasing. They provide training under the syllabus created by Mr. Guy Windsor of the School of European Swordsmanship, Helsinki, Finland. The guards, various cuts and methods of dealing with an opponent’s cuts will all be covered. During PHEMAS training, there is a heavy focus on control and timing of the cuts. To help build these skills, Mr. Windsor has developed a series of single and paired memory drills. These drills not only teach the correct cuts, footwork and responses, they are also important for teaching distance and control. Novice swordsmen/women can not expect to engage in free sparring until they are more advanced in their training as a high degree of skill and control is required for safe swordplay. In order to attain this skill, a series of stress drills of varying intensity will be employed. These are well designed to teach quickness of mind and trust in one’s skills in a controllable environment. For more information about the PHEMAS, please visit http://www.phemas.com.